Mankind always dreams to build something megalithic if we follow the history of this planet. Starting from the Great Pyramid of Giza built by the pharaohs, to the Lighthouse of Alexandria, which was built by the Ptolemaic Kingdom, ancient architectures throughout the world are found to support the evidence of the efforts to construct something challenging. In the modern world where science and technology dominates everything, a culture of constructing humongous architecture again boomed during late 90s. It is not only the race to build mega structures, but also a fascinating journey to the greenest buildings mankind has ever seen. UAE, China, India, Malaysia and many different countries of Asia are all in this race. So, here is the list of Top 10 Tallest Buildings in Asia. Burj Khalifa, known prior to its inauguration as Burj Dubai, is a skyscraper in Dubai, United Arab Emirates. 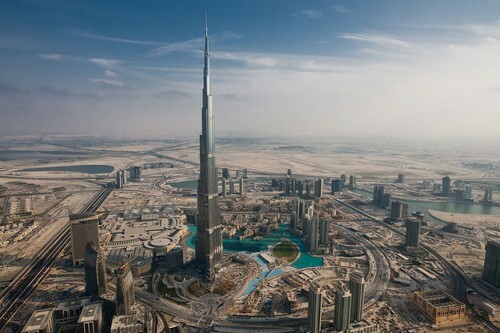 It is the tallest man-made structure in the world with its humongous 2,722 feet height. The construction started on 21 September 2004, and the building was officially opened on 4 January 2010. The tower’s architecture and engineering were done by Skidmore, Owings and Merrill of Chicago. Adrian Smith was the chief architect, and Bill Baker was the chief structural engineer of this project. It consists of 163 floors, plus 46 maintenance levels in the spire, and 2 parking levels in the basement. The highest residential floor in this mega structure is level 109. A major plot of Mission Impossible Ghost Protocol was filmed here. Shanghai Tower, which is under construction in Lujiazui, Pudong, Shanghai, is in the race to be one of the tallest skyscrapers and the tallest buildings in China. 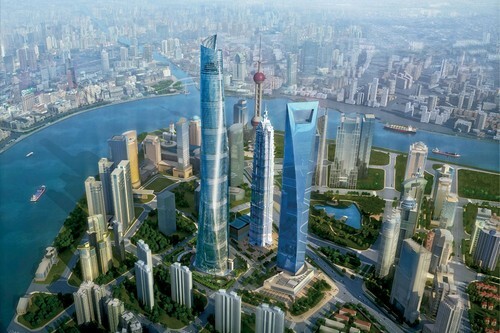 The Shanghai Tower was designed by Marshall Strabala of the American architectural firm called Gensler. Construction work of this building began in November 2008. It is 2,073 feet in height with a total floor area of 380,000 square meters. This 121 storied building is estimated to be completed on 2015. This tower will accommodate as many as 16,000 people on a daily basis. Four Seasons Hotel with 320 rooms will be located between the 84th and 110th floors which will claim to be the tallest hotel in the world at the time of its completion. This building will have the fastest elevator in the world with a speed of 59 feet / second. The Abraj Al-Bait also known as the Mecca Royal Hotel Clock Tower, is a government-owned building complex in Mecca, Saudi Arabia which was built under King Abdulaziz Endowment Project. This 1,972 feet building was built after the demolition of the Ajyad Fortress. This mega structure is just meters away from the world’s largest mosque and Islam’s most sacred site, the Masjid al-Haram which houses the Kaaba. It consists of 120 floors and also has a large prayer room capable of holding more than 10,000 people. This building was designed and developed under Saudi Binladin Group. It houses a 5-storey shopping mall and a clock tower which is the tallest clock tower in the world, and the largest clock face, as well, designed by the German architect, Mahmoud Bodo Rasch and his firm, SL Rasch GmbH. Taipei 101, also known as the Taipei World Financial Center, is a landmark skyscraper located in Xinyi District, Taipei, Taiwan. The design of this building is inspired by traditional Chinese architecture, with a shape resembling a pagoda, which was developed by C.Y. Lee & partners and constructed primarily by KTRT Joint Venture. Taipei 101 comprises 101 floors above ground and 5 floors underground with its 1,667 feet height. In July 2011, the building was awarded LEED Platinum certification as the tallest and largest energy efficient building in the world. 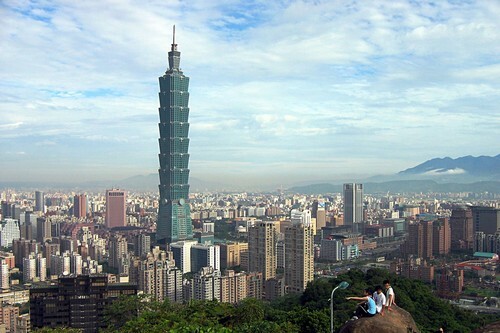 Taipei 101 features an Indoor Observation deck on 89th floor and an Outdoor Observation deck on its 91st floor. It is designed to withstand typhoon winds up to 216 km/hour, and it can also sustain the strongest earthquakes likely to occur in a 2,500-year cycle. Shanghai World Financial Center is a gigantic skyscraper located in the Pudong district of Shanghai, China. This 1,614.2 feet building was designed by Kohn Pedersen Fox and developed by the Mori Building Company, with Leslie E. Robertson Associates as its structural engineer and China State Construction Engineering Corp and Shanghai Construction General Co. as its main contractor. This building is developed for various uses as it has offices, hotels, conference rooms, observation decks, and ground-floor shopping malls. It was bestowed with Asia & Australasia awards for Best Tallest Building from the Council on Tall Buildings and Urban Habitat. It also has Park Hyatt Shanghai Hotel between 79th to the 93rd floors. International Commerce Centre also known as Union Square is a commercial skyscraper located in West Kowloon, Hong Kong. The height of this commercial tower is approximately 1,588 feet. This tower forms a “gateway” for Victoria Harbor with Two International Finance Centre at the opposite side of the harbor. It was designed by the American architectural firm, Kohn Pedersen Fox Associates, with Wong & Ouyang Ltd., and developed by MTR Corporation Limited and Sun Hung Kai Properties. This huge architecture consists of 118 floors, with the Ritz-Carlton Hotel between 102 to 118 levels. It also has an observatory called Sky100 on its 100th floor. OZONE, The world’s highest swimming pool and bar, can be found on the top 118th floor of this building. Petronas twin Tower is the tallest twin towers in the world located in Kuala Lumpur, Malaysia. This 1,483 feet tower complex was officially opened by the Prime Minister of Malaysia’s Tun Dr. Mahathir bin Mohamad on 1 August 1999. It is designed by Argentine-American architect, César Pelli, and has 88 levels on each tower. The towers feature a double decker sky-bridge connecting the two towers on the 41st and 42nd floors, which is the highest 2-storey bridge in the world. Tower One is fully occupied by Petronas and a number of its subsidiaries and associate companies, while the offices in Tower Two are occupied by various multinational companies such as AVEVA, Boeing, IBM, TCS, Bloomberg, HCL, Microsoft and Reuters. Zifeng Tower, also known as Greenland Center or Greenland Square Zifeng Tower, is a super-tall skyscraper located in in Nanjing, China. Before its inauguration, it was also known as the Nanjing Greenland Financial Center. The construction of this mega project started in 2005 and it was opened for public in 2010 with its incredible 1,480 ft height. It is designed by Adrian Smith under architectural firm, Skidmore, Owings and Merrill, the same firm that designed Burj Khalifa and also specialized for humongous architectures. It has 89 floors which are used for various purposes. It comprises retail and office space in the lower section, and restaurants, hotel, and a public observatory near the top. Kingkey 100 also known as KK 100 and Kingkey Finance Center Plaza is a skyscraper in Shenzhen Luohu District, Guangdong province, China. The construction of this skyscraper started in 2007 and opened for public in 2011. It is the 4th tallest building in Chinese territory. This mega building complex is 1,449 feet tall as it contains 100 levels which are also reflected in its name. Out of those 100 floors, 68 floors are used for Class A office space, 22 stories for a five-star business hotel and the top four floors of the building hold a garden and several other restaurants. The luxury hotel called The St. Regis Hotel occupies from 75th floor to 98th floor of the main tower, which also has a sky garden lobby on the 94th floor. 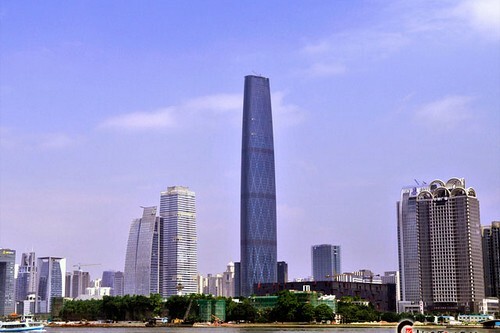 Guangzhou International Finance Centre, also known as Guangzhou West Tower, is a skyscraper located in Zhujiang Avenue West in the Tianhe District of Guangzhou, Guangdong, China. This 1,439 feet tall building was designed by Wilkinson Eyre. The building was the winner of the RIBA 2012 Lubetkin Prize. The construction of this skyscraper project started in December 2005, and was fully opened in 2010. It has 103 floors in it which are used as conference centers, hotels and offices. First floor through 66th floor are used as offices, floors 67 and 68 are for mechanical equipment, floors 69 to 98 have a hotel named Four Seasons with the lobby being on the 70th floor, and floors 99 and 100 are used as an observation deck. In the near future, many other tall buildings can be seen throughout Asia because huge number of mega structures are already proposed and under construction. One of them is the Bangalore turf tower in India which will climb 1,971 feet from ground and will be the 2nd tallest man-made structure in Asia. All these modern monuments say that a sky city seems not far enough for this planet.